First Source Consulting exists to help businesses succeed. This mission drives us. Living up to your potential is our passion and our First Source of energy and motivation. We strive to represent this passion in everything we do. In 2017, we expanded our services to include skilled construction project managers and disaster recovery home inspectors. This team also consists of experienced women and men whose sole focus is to repair, rebuild and remodel homes. In 2018, we formed a new team of professionals solely dedicated to informing and providing businesses with Specialized Tax Incentives. These federal and local tax incentives help businesses create and sustain jobs. More than 90% of businesses are not aware that these incentives can serve as new cost centers and help achieve your business or organizational goals. At First Source, we believe in the potential of women and men equally. We believe diversity breeds understanding and understanding breeds better business results. The most popular question asked of Emily is why she chose to become an entrepreneur. As a young girl attending international school, Emily developed a passion to help people in the world and more importantly in the world of work. As a result, she worked as a Peace Corps Volunteer and at the U.S. Department of State. Wherever she goes, she is always looking for creative ways to improve workplaces. Emily wholeheartedly believes that all jobs are important and she has acquired a distinct manner of observing, analyzing and recommending appropriate workplace solutions. Ms. Rogers is responsible for overall business development of First Source Consulting. 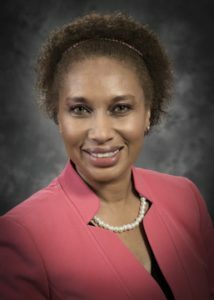 For many years, she has worked as a consultant on state and local government contracts providing project management, project coordination, and program support. After Hurricane Irma in 2017, she worked as a House Inspector in order to help families recover from the disaster. Emily truly believes in a hands-on approach. After experiencing wind and water damage to her own home, she decided to engage a team of construction professionals to help families repair and rebuild homes. Referrals and work in this area is fulfilling and rewarding. Emily’s professional skills and strengths include managing cross-functional and internal work teams, data collection, field interviewing, survey design and implementation, performing organizational assessments and delivering briefings and presentations. Ms. Rogers achieved a certification in organization development and in 2015 she became an Everything DiSC Certified Trainer and Authorized Partner. She received her master’s degree in Public Policy and International Development from Rutgers University-Camden and her bachelor’s degree in Political Science from Bennett College. When she is not consulting, Emily can be found attending professional development conferences or networking events. She is also involved in many professional, community and nonprofit groups and serves on several local boards.